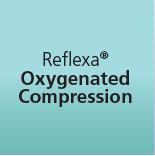 Welcome to Reflexa® online shop! If you visit or shop at www.reflexa-socks.com, you accept these conditions. We ask you to read them carefully. 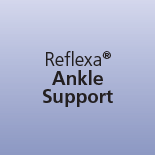 When you visit www.reflexa-socks.com or send e-mails to us, you are communicating with us electronically. You consent to receive communications from us electronically. We will communicate with you by e-mail or by posting notices on this site. You agree that all agreements, notices, disclosures and other communications that we provide to you electronically satisfy any legal requirement that such communications be in writing. All content included on this site is the exclusive property of Reflexa® online shop and protected by international copyright laws. All software used on this site is the property of Reflexa® online shop or its software suppliers and protected by international copyright laws. If you buy on this site, you are responsible for maintaining the confidentiality of your account and password and for restricting access to your computer, and you agree to accept responsibility for all activities that occur under your account or password. 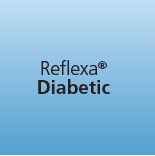 Reflexa® online store sells to adults, who can purchase with a credit card or other permitted payment method. If you are under 18, you may use Reflexa® online store only with involvement of a parent or guardian. The price displayed for products on our website represents the full retail price. Information about our customers is an important part of our business, since we need it to provide the products and services you request. We do not share customer information with third parties. You can safely enter your entire card number via our secure server, which encrypts all submitted information. You get free shipping on orders of 199,00 € or more. We provide shipment to EU countries. Our estimated shipping dates depend on the destination country and are estimated by the shipment providers. We have already included the time we need to pack and prepare your order. You may return new, unopened items sold by Reflexa online store within 30 days of delivery for a full refund. We'll also pay the return shipping costs if the return is a result of our error (incorrect or damaged item). Items should be returned in their original product packaging. We cannot accept returns of items that have been damaged, worn or soiled. Items must be in a condition suitable for resale. In case you want to return purchased items, contact us on info@reflexa-socks.com. We'll request a refund after we receive and process your return. Expect your refund within 4 weeks of giving your package to the return shipper (though in many cases you'll receive the refund sooner). 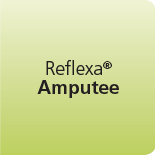 If you received a faulty item and need to exchange it for the same item, contact us on info@reflexa-socks.com to request a replacement. If you would like to exchange an item for a different one, please return the original item like explained above (you will be refunded your original purchase price once we receive the item) and place another order for the item you wish to purchase. You do not have to wait for us to receive the original item before placing the new order. If the return is a result of our error (you received an incorrect, damaged or defective ), we'll pay the return shipping costs. If your return is not the result of our error, the shipping cost of that returned item will not be refunded.